Add/change meta tags on product, category, manufacturer, home and any pages using different rules. 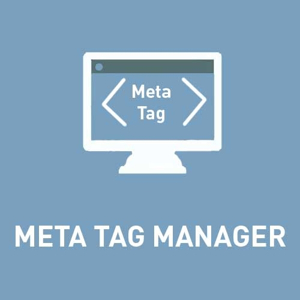 Plugin allows you to add/change meta tags (meta title, meta description and meta keywords) on category, manufacturer, product, home and any pages. 1. Change the meta tags for product details page (using rules, list of products, list of categories, list ofmanufacturers and different conditions). Change meta tags for products with Free Shipping. 2. Change the meta tags for category page (using list of categories). 3. Change the meta tags for manufacturer page (using list of manufactures). 4. Change the meta tags for home page. 5. Change the meta tags for any page using the name of Controller and the name of Action. Not registered version is fully operational and has only one limitation – trial period 15 days. Compatible for NopCommerce 4.10, 4.00. + added support Product Tags page, BlogPost Tags page, Product Review page. + added new token %NewPageTitle%, you can use this token for getting new value of Meta Title for Meta description and Meta Keywords. + added support Article, News Item and Blog post items.